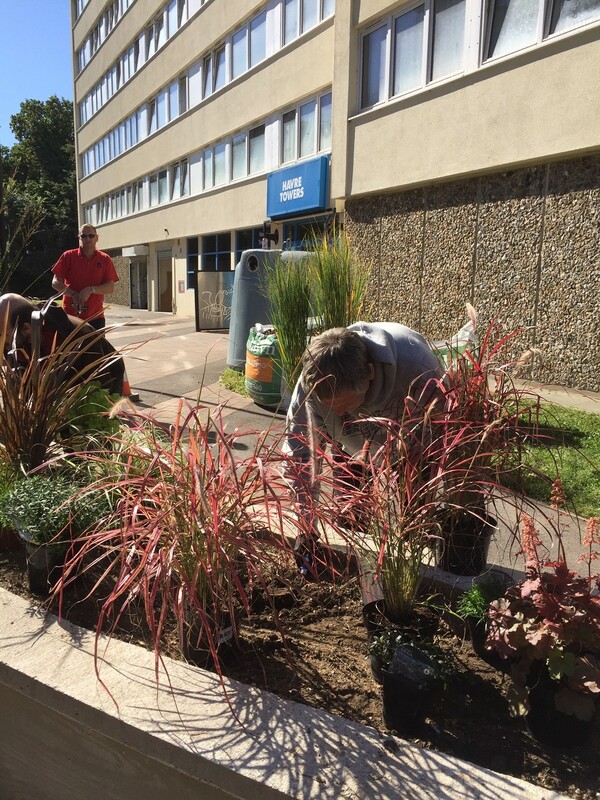 Residents in Weston have come together to transform the entrances to tower blocks at International Way, by planting shrubs and flowers as part of the Plants for People initiative, co-managed by Southampton City Council and Mayfield Nurseries (part of local mental health charity Solent Mind). A group of 30 residents pulled together to fill specially designed and built planters outside Oslo, Hampton and Copenhagen Towers at International Way, Weston. The selection of plants and shrubs used were carefully selected by the professional horticulturists at Mayfield Nurseries to grow and flourish in the environment and climate of Weston. The Plants for People project is about residents working together to create community gardens to enhance their outside space, supported throughout by a community gardener from Mayfield Nurseries. They can learn new skills and develop the confidence to continue working on their community gardens in the future. The project will give residents an opportunity to get outside in the fresh air and do some weeding and planting, all of which has a proven positive impact on mental health and well-being. An expert gardener from Mayfield Nurseries is on-site once a week in Weston and other locations across the city to support residents in growing and planting. Participants don’t need any equipment or experience and all sessions are on a drop in basis. The gardening workshops are open to all ages and abilities from keen gardeners to absolute beginners.